For Culture Spain – When is a Wine Not a Wine | Marbella Marbella – Adelante! It has always been the custom for the various wine regions to defend tooth and nail the integrity of their products against all-comers. Not that long ago any wine made with sweet grapes, or even with raisins, could be called port or sherry wherever it was made, even in England, until the famous legal battle in London’s high court when the sherry makers of Jerez de la Frontera carried the day. Not much later the Spanish ‘champagne’ house of Perelada felt the wrath of the giants of Rheims, and an even longer court battle resulted in the term champagne being reserved exclusively for sparkling wine made in the defined area of northern France. More recently it seems anything can apply for protection against passing-off of similar products, and cheeses, meat, vegetables, chickens, and pigeons are all beneficiaries of the widened Apellation Controlée system. It may be only a matter of time before carrots, black tobacco and paper clips enjoy the same level of protection. Frazer Thompson, owner of the Chapel Down winery in Kent, that produces annually a very respectable half a million bottles of excellent white wine, thought it would be a good idea to make some Argentinean wine. 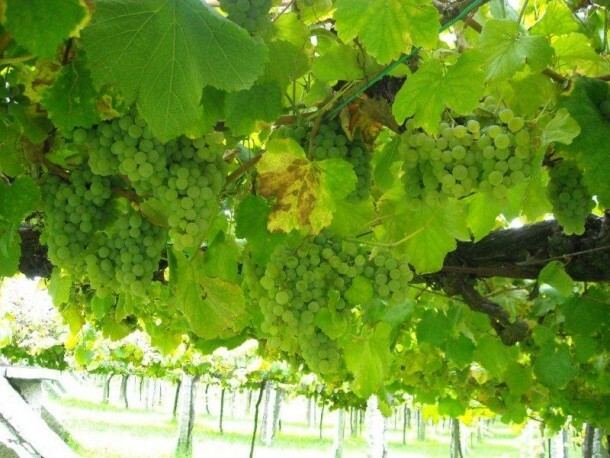 In collaboration with an organisation dedicated to the promotion of that country’s wine in Europe, he imported two tons of refrigerated Malbec grapes by air, and set about pressing and fermenting them in his winery. After nine months in oak barrels the wine was all set for bottling, and Chapel Down Malbec made with Argentinean Grapes was ready for the market. Unfortunately our ever-vigilant friends in Brussels got wind of the project and told Thompson to hold his wine, giving him two options. He could either dump it or sell it as an alcoholic drink made from fruit. Apparently the rule is that you cannot import the raw material for making wine from outside the EU, on the basis that European winemakers could mix such stuff with their own produce and pass it off as wine made in the EU. What makes nonsense of the whole affair is that if Thompson had brought the same grapes from Argentina and made his wine in Spain, he would have been able to sell it in the UK as Argentinean wine. As it was, he finished up giving the wine away to friends and wine writers.